*UPDATE* Winners have been chosen. I will be contacting the winners individually and, after each winner has accepted their prize, I will post the winners on a new post. That’s an overview of them, closer shots are available through the link up top. I’ve done this once before. Here is a link to a Christmas gift I sent to the Austin group, for their hard work. Now, these coasters take me time and money to make, and I am unable to sell them. At the same time, I want people have some. 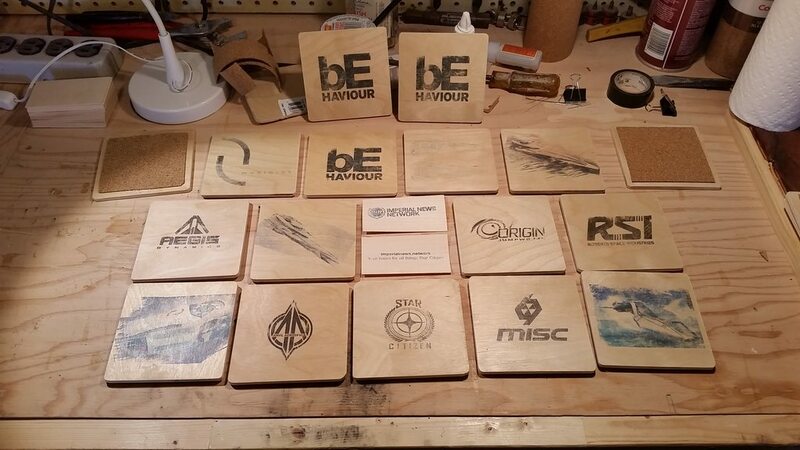 So we’re going to run the first Relay contest for sets of these lovingly, hand-crafted coasters (sets can be of whichever SC images you like, though I will have to approve them, as some simply can’t be worked with). There will be three tiers of prizes for this contest, and the contest will run for one week, from Saturday, February 21st at 12:00am EST, to Saturday, Febuary 28th at 12:00am EST. ‘First’ prize: A set of 12 coasters will be given to the best comment on The Relay, chosen by The Relay Founders. ‘Third’ prize: A set of 6 coasters will go to a randomly selected person who follows The Relay on either Facebook or Twitter.